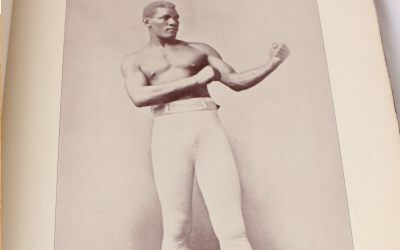 The Portrait Gallery of Pugilists. 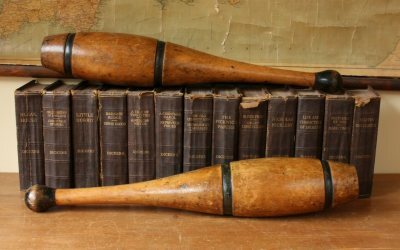 Pugilism Bare Knuckle Boxing Print Book 1894. 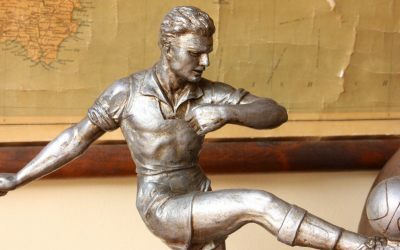 Bronze Footballer Statue E Fraisse. Figure of Soccer Player & Football. 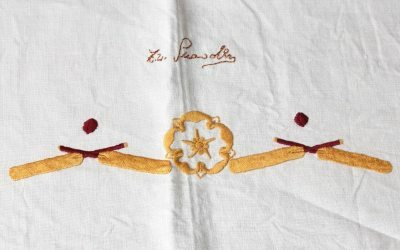 Northamptonshire County Cricket Club 1938-9 Embroidered Signature Cloth. Leather T-Panel Football. 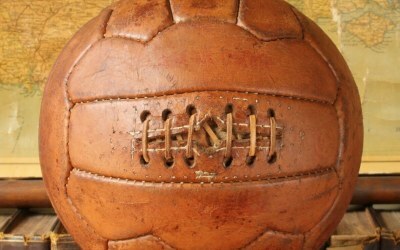 Old 1930's FIFA World Cup Laced Soccer Ball. 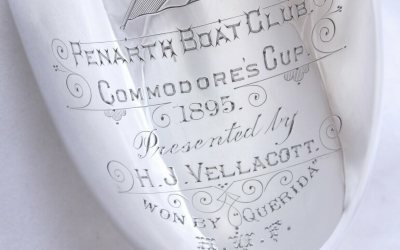 Silver Yachting Penarth Boat Club Trophy Cup. Ladies Sailing Commodores Cup 1895. 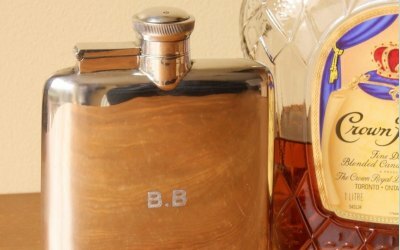 Silver Plated Leather Spirit Hip Flask. Cockerel. While We Live We Crow. 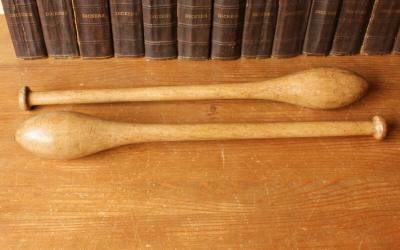 Wood Indian Clubs. Exercise Meels. Home Decor, Sports Bar, Gym. 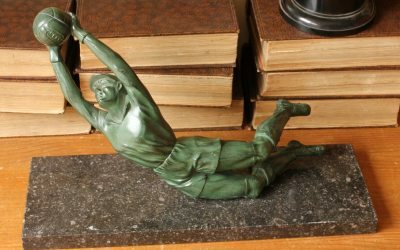 Large French Goalkeeper Footballer Figure Statue. Paris Soccer Player & Football. 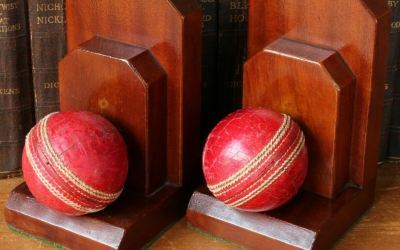 Mahogany Cricket Ball Bookends. Art Deco Book Rests. 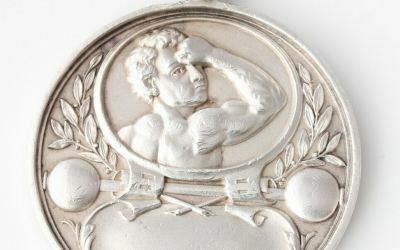 Silver Weightlifting Medal 1924. Body Building Muscle Man Fob. 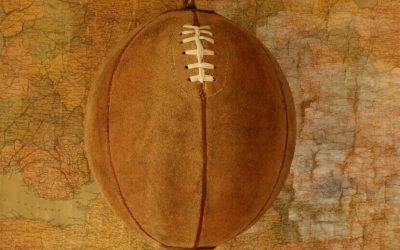 Small Leather Football. Child Size 1940's Laced Mini Soccer Ball. 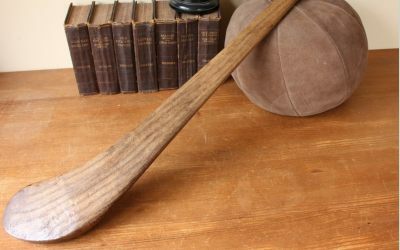 Slazenger Leather Laced Rugby Ball. 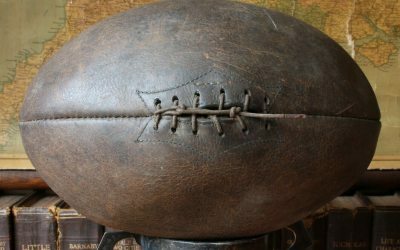 Old Hand Sewn Vintage Ball. c1930. 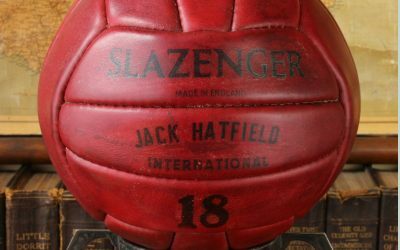 Jack Hatfield Slazenger Red Leather Laceless Football. 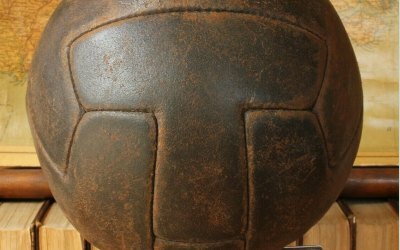 Old Soccer Ball. 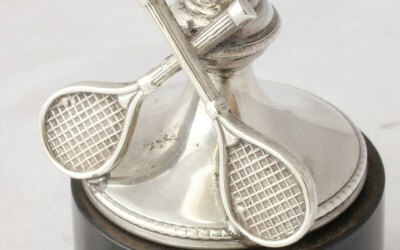 Solid Silver Tennis Racket Trophy Cup. W.T.C Open Singles 1936. 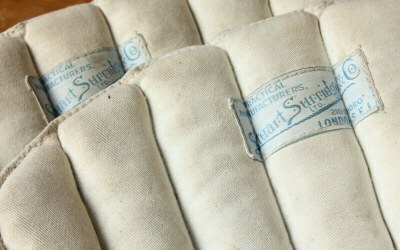 1930's Stuart Surridge Cricket Pads. 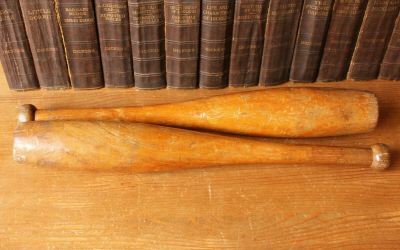 Antique Batting Legguard. 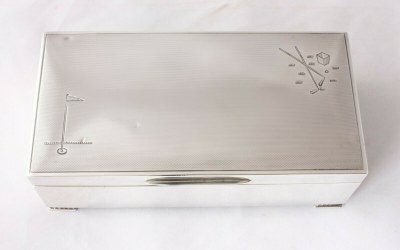 Silver Mappin & Webb Golfing Desk Box. 1938 Art Deco Golf Club Design. 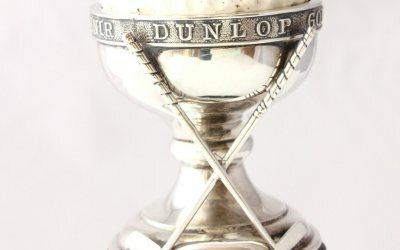 Silver Dunlop Golf Ball Hole in One Souvenir Trophy Cup. 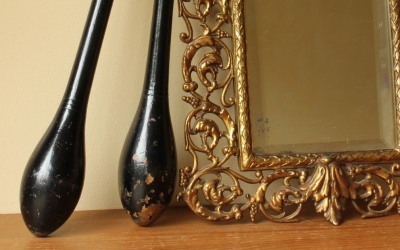 Antique Gift. 1928. 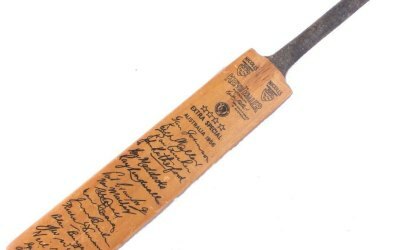 Miniature Nicolls The Keith Miller Autograph Cricket Bat Australia 1956. Suede Leather Boxing Speedball. Floor To Ceiling Gym Punch Bag. 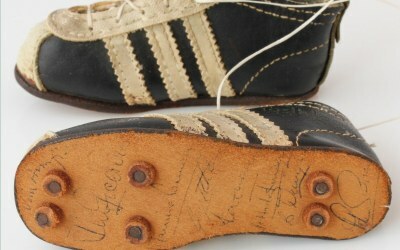 England 1962 World Cup Team Signed Miniature adidas Football Soccer Boots. 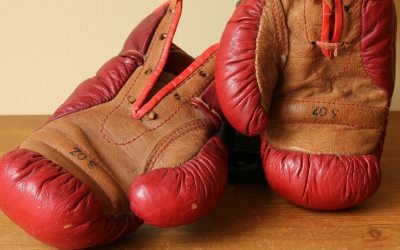 Small 1950's Leather 3oz Boxing Gloves. Red Tan Miniature Child Size. 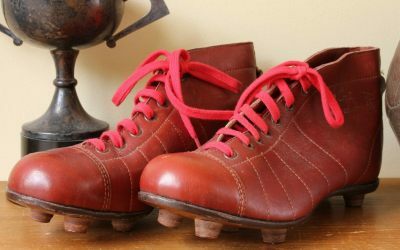 Vintage 1950's Tom Finney Featherweight Red Leather Football Soccer Boots. 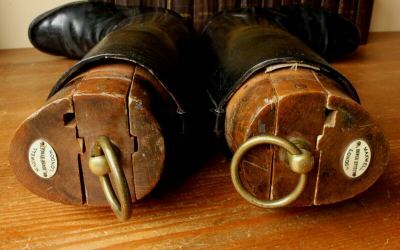 Football Shin Pads. 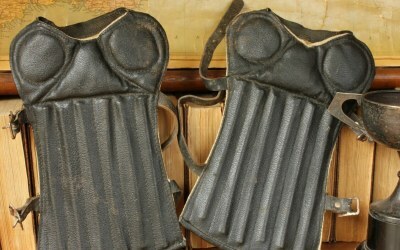 Old Leather Soccer Shinpad Guards c1940. 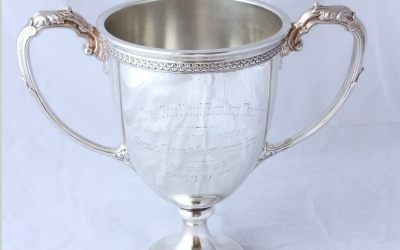 Heavy Silver Woolwich Polytechnic Athletic Club Lawn Tennis Sports Trophy 1920. 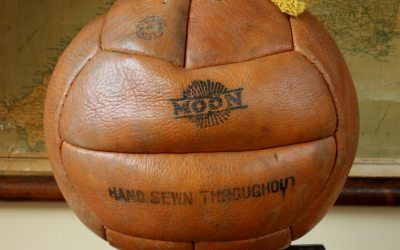 12 Panel Moon Leather Football. 1950's Old Laced Soccer Ball Size 5. 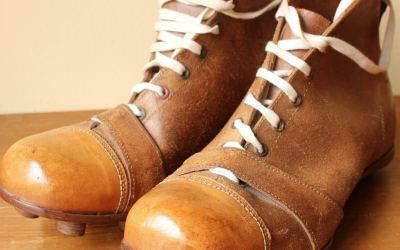 Vintage 1950s Stan Mortensen Blackpool Leather Football Boots. Old Soccer Cleats. 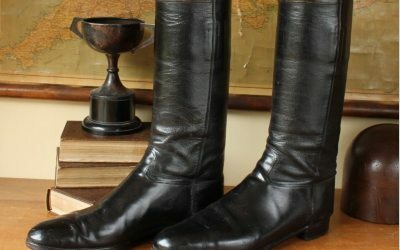 Antique The BBC Brown Leather Football Boots. 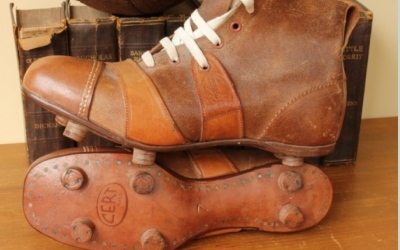 Old Vintage Soccer Cleats c1910. 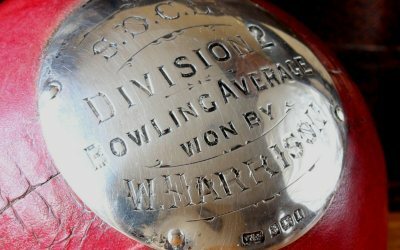 Large Silver Chas Smelling Bowling Trophy Messrs Olive & Partington 1937. 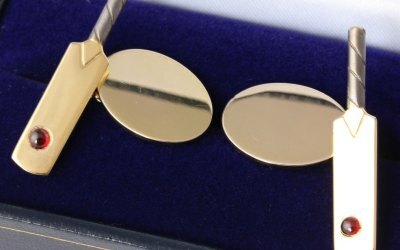 Heavy Gold Cricket Bat with Garnet Ball Cufflinks. Cricketer Gift. Boxed. 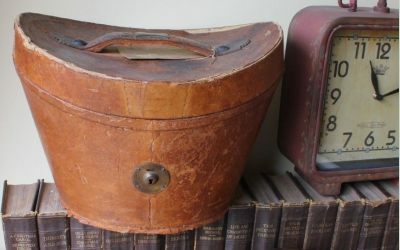 1950's Leather Football. Old 18 Panel Laced Type Soccer Ball. 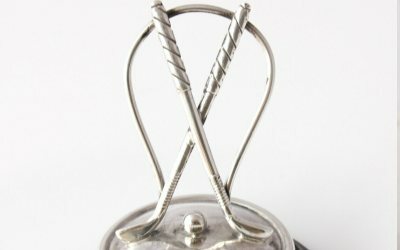 Silver Golf Club & Ball Menu Holder. Edwardian Golfing Photo Clip 1907. 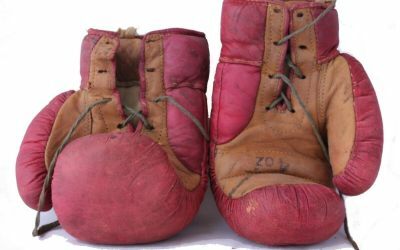 Mini 4 oz Red Leather Boxing Gloves.1950's. Home Decor. Sports Bar. Gym. 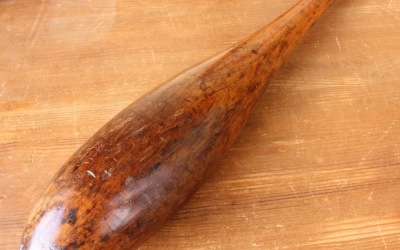 Hickory Wood Brass Golf Club. 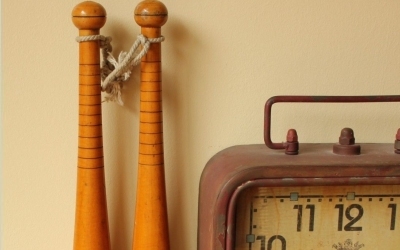 Decorative Sports Home Decor. Shop Display. 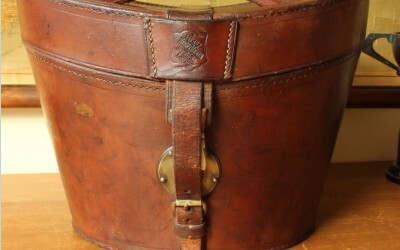 1950's Vintage Leather 18 Panel Laced Football. 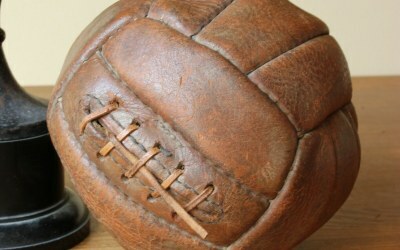 Old Brown Soccer Ball. 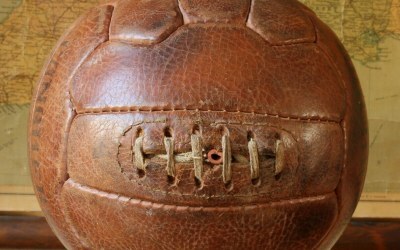 1930's Leather Football. 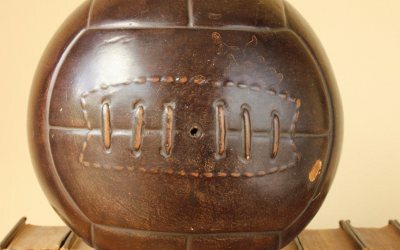 Old 18 Panel Antique Brown Laced Soccer Ball. 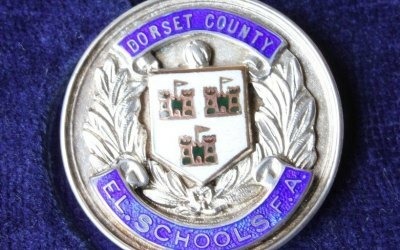 Silver Cycling Trophy. 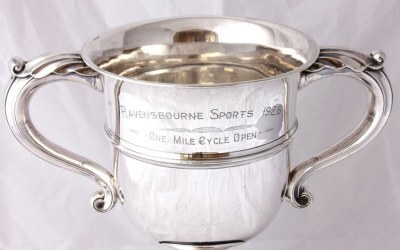 Ravensbourne Sports One Mile Cycle Open 1926. 1950's Conqueror Football. 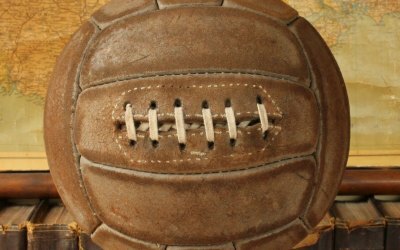 Old Hand Sewn Leather Soccer Value Ball. 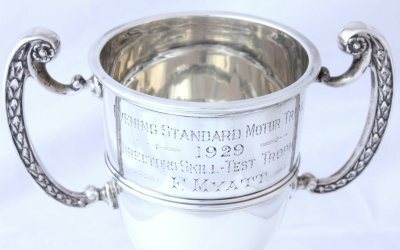 Solid Silver Motor Racing Sport Trophy Cup Evening Standard Motor Trial 1929. 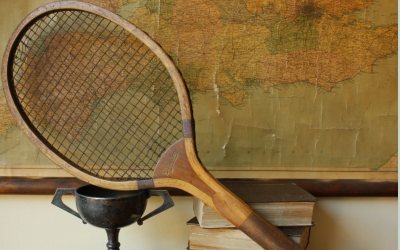 The Practice Lawn Tennis Racket. 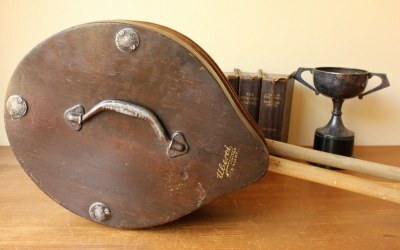 Sold By Halfords c1910. Convex Wedge. 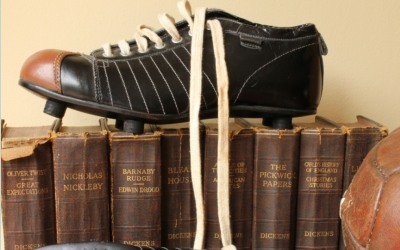 Kingswell Hornet Leather Football Boots. 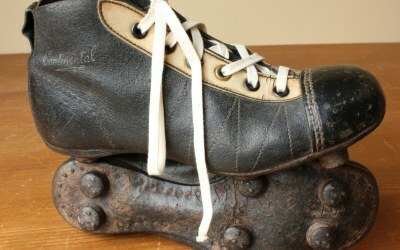 Old Black Soccer Cleats c1950. 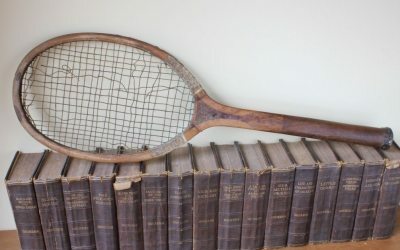 Convex Wedge Lawn Tennis Racket. c1910. 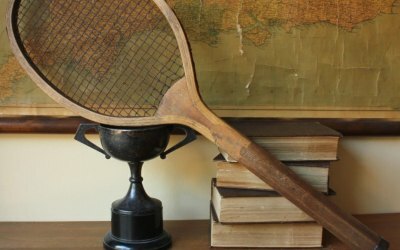 Tennis Club, Shop or Prop. 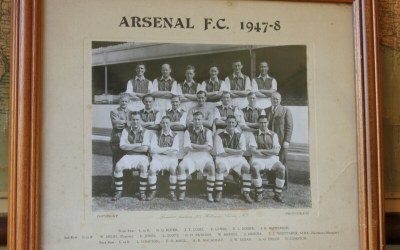 Original Arsenal FC Football Club Team Photograph 1947-48 by Lambert Jackson. 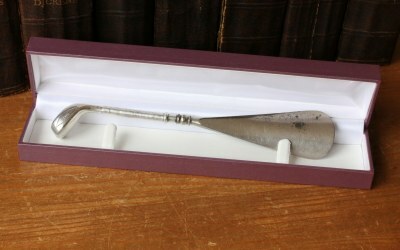 Silver Handled Golf Club Shoe Horn. Edwardian 1908. 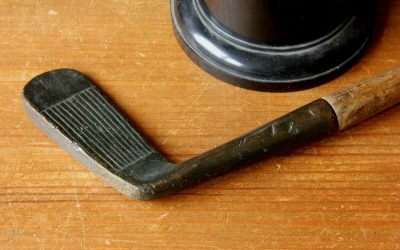 Antique Golfing Gift. 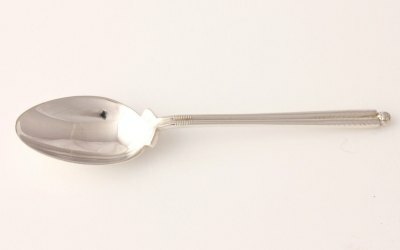 Silver Golf Club & Ball Spoon. 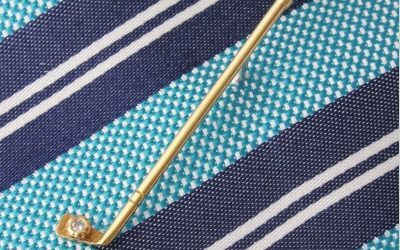 Golfing Golfer Gift. Walker & Hall Sheffield 1931. 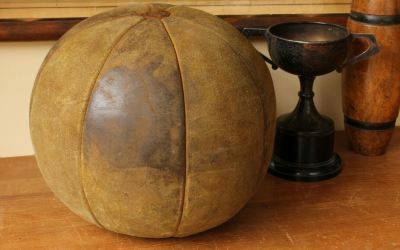 1950's Valve Type Leather Soccer Ball. 12 Panel Football. 18 Panel Football. 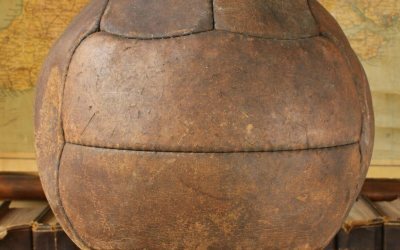 Old Leather Laced Type Soccer Ball. 1950's. 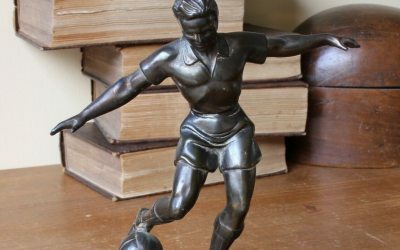 Large Metal Footballer Figure Statue of Soccer Player & Football. Art Deco c1935. 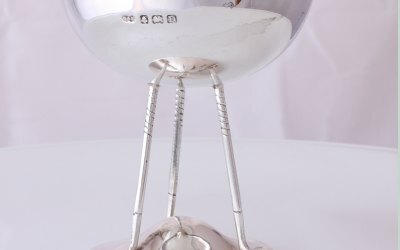 Vintage Solid Silver Military Rugby Football Sports Trophy Cup 1940. 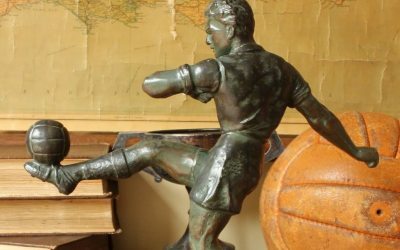 Large Art Deco Footballer Figure Statue of Soccer Player & Football. French 1930. Silver Golfing Trophy Cup. Baildon Golf Club. Golfer Gift. 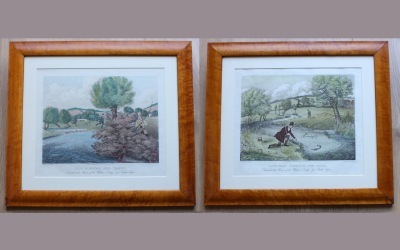 William Neale 1934. 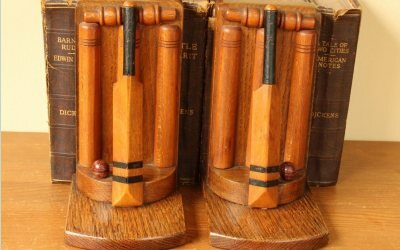 Oak Cricket Bat & Ball Bookends by Thornton-Smith Company c1930's. 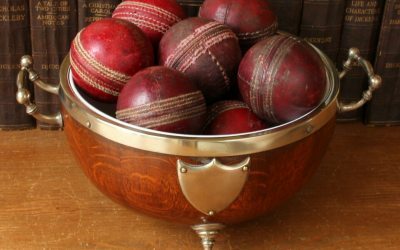 Silver Leather Cricket Ball Trophy. 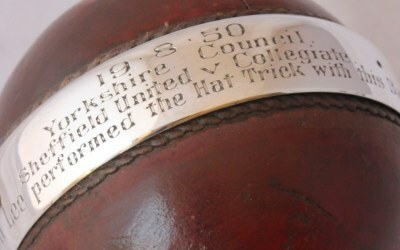 Yorkshire Sheffield Hat Trick 1950. 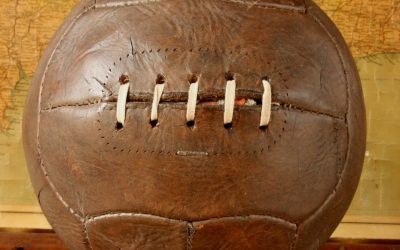 Leather Football World Cup 1930 Argentina Uruguay. 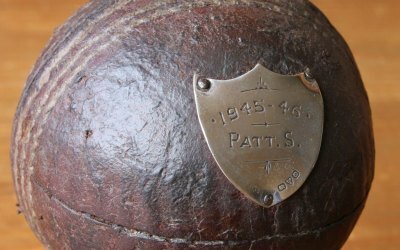 Vintage Soccer Ball. 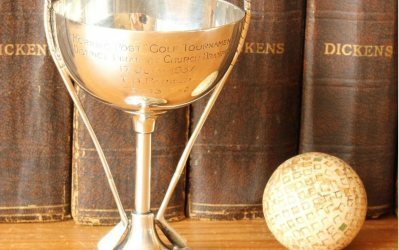 Silver Golf Club & Ball Golfing Trophy Cup. Morning Post Church Brampton 1936. 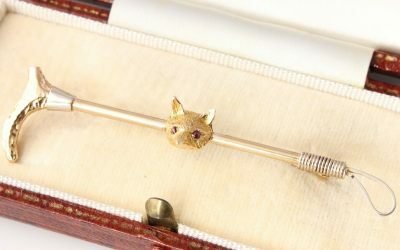 Vintage 9ct Yellow Gold & Diamond Golf Club Tie Pin / Brooch. Golfer Gift Boxed. 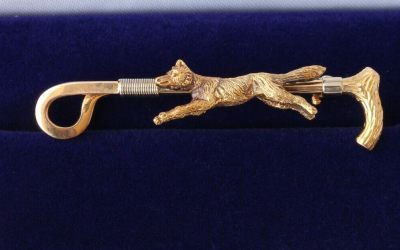 Heavy 15ct Gold Running Fox on Riding Crop Brooch / Hunting Tie Pin. 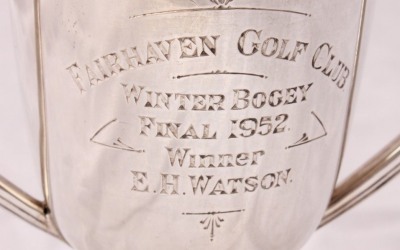 Solid Silver Fairhaven Golf Club Winter Bogey Cup 1952. 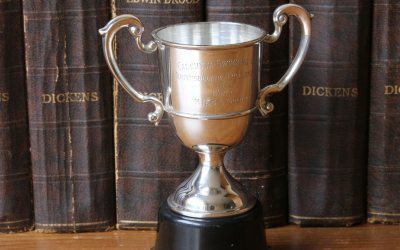 Sports Trophy 1949. 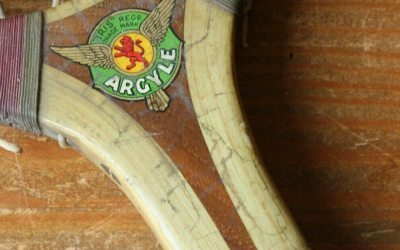 Stuart Surridge Iris-brand Argyle Tennis Racquet & Dunlop Press. 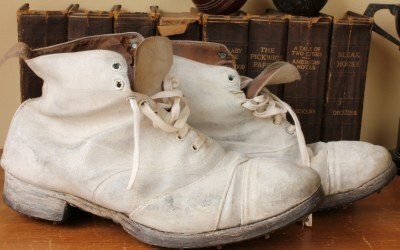 1920's Vintage Embekay White Canvas Leather Studded Cricket Shoes Boots. 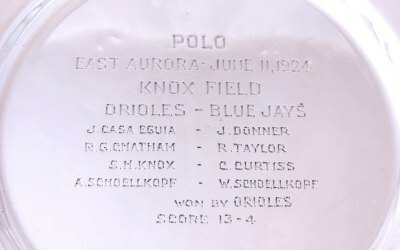 Silver Polo Trophy Plate East Aurora Knox Field 1924. Orioles Blue Jays New York. 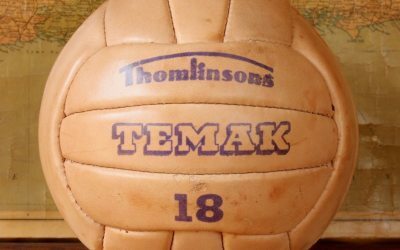 Thomlinsons Greban Temak Glasgow 18 Panel Football Old Soccer Ball c1950. 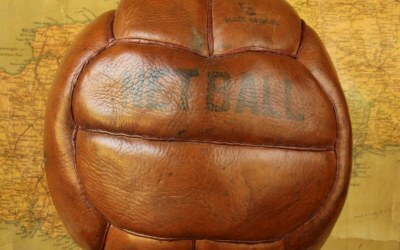 Vintage c1960 Sondico Brown Leather Laced Netball. Old Ball. 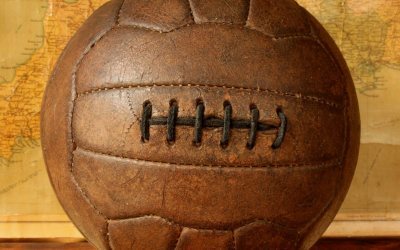 Vintage Master 1950s Football. 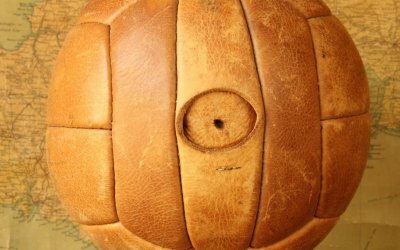 Valve Hole Type Leather Old 13 Panel Soccer Ball. Victory Small Leather Soccer Football. 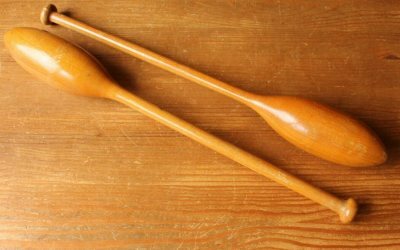 Old c1930 Mini Ball. 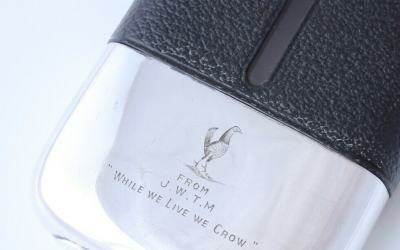 James Dixon Silver Leather Spirit Hip Flask With Cup & Flip Top 1897. 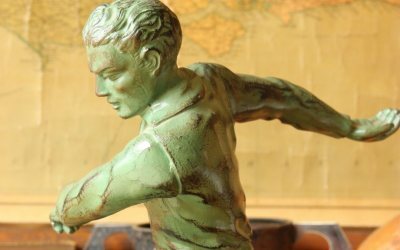 Antique Ceramic Football Ornament. 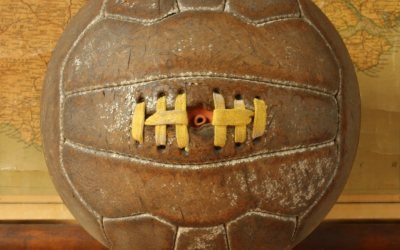 1930s Vintage Leather Soccer Ball Shop Display. 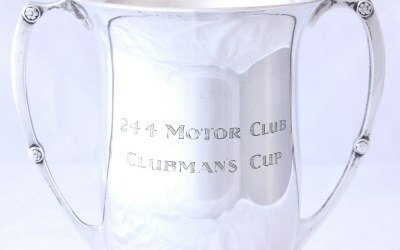 Solid Silver Motor Racing Sports Trophy Cup 24 4 Motor Club Clubman's Cup 1932. 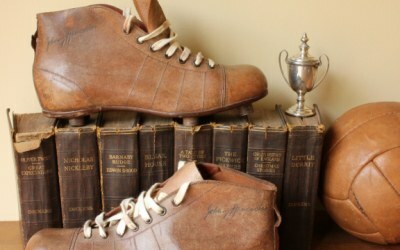 Vintage Johnny Hancocks Brown Leather Football Boots. 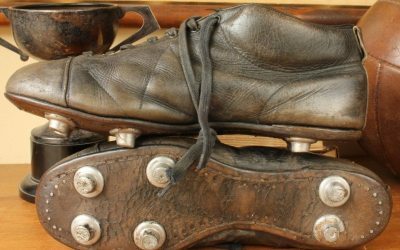 Old Soccer Cleats c1940. Manfield Hotspur Continental Leather Football Boots. 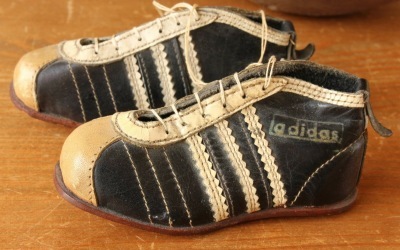 1950's Soccer Cleats. 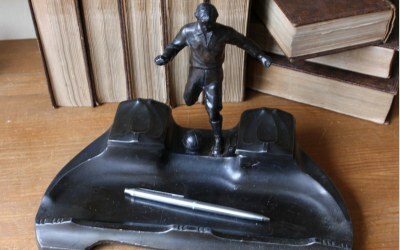 Art Nouveau Football Desk Stand / Inkwell Pen Tray With Footballer Figure c1910. 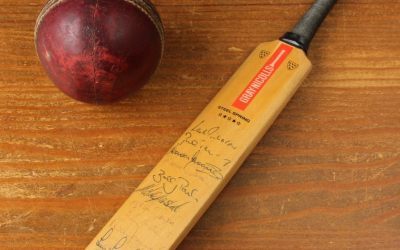 Miniature Gray Nicolls Original Autograph Mini Cricket Bat Hampshire 1993. 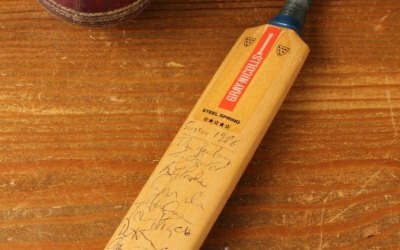 Miniature Gray Nicolls Original Autograph Mini Cricket Bat Sussex 1986. 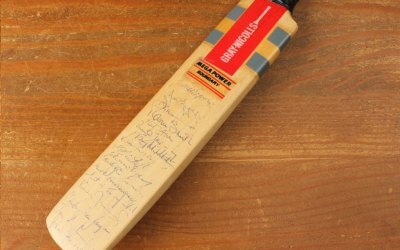 Miniature Gray Nicolls Original Autograph Mini Cricket Bat Hampshire c1980. 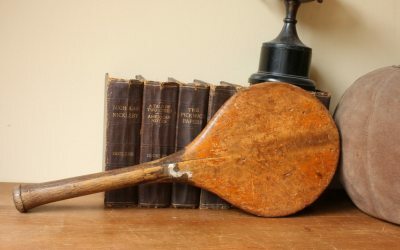 Antique Uberoi Mahogany Multiple Racket Press. 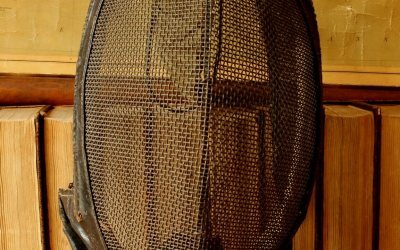 Badminton Squash Small Tennis. R.A.F. 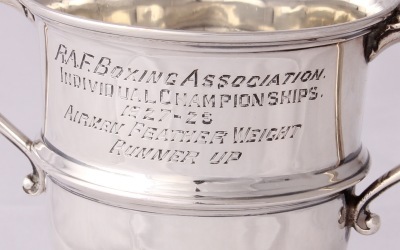 Boxing Association Trophy 1927 Airmen Feather Weight. 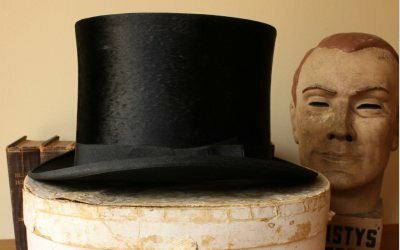 Large Antique Top Hat. 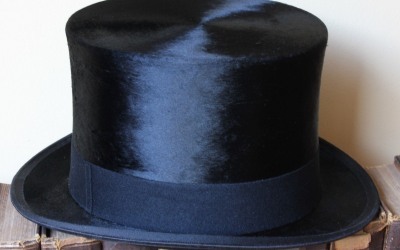 Vintage Black Moleskin Silk English Hat Co Large 7 1/4. 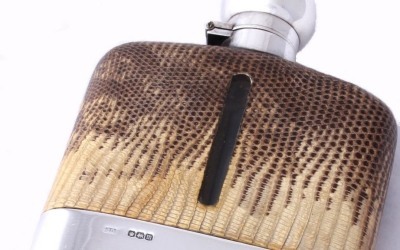 Silver Snakeskin Leather Spirit Hip Flask With Cup. James Dixon 1929. Large Size. 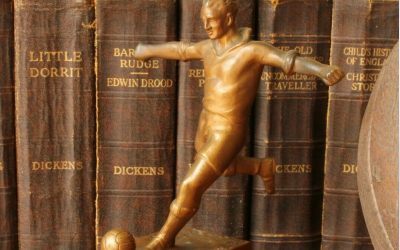 Large Footballer Figure Statue. Soccer Player & Football. French Art Deco c1930. 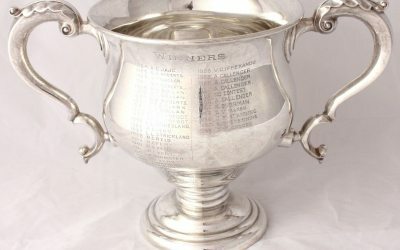 Hallmarked Silver Golfing Trophy Cup. MHGC. 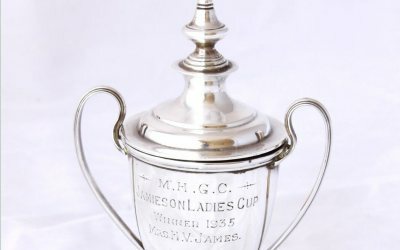 Jamieson Ladies Cup 1935. 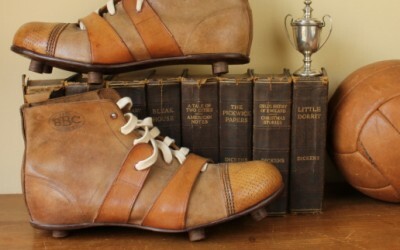 1920's Cert Gripwell Brown Leather Football / Soccer Boots in a Size 7. 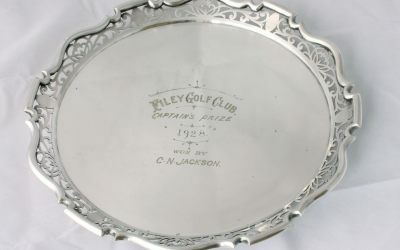 Silver Plate Filey Golf Club Trophy Presentation Tray 1928. 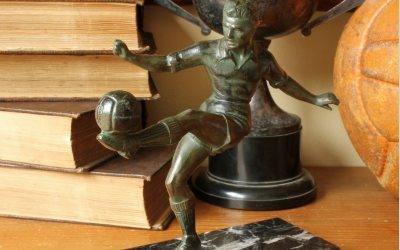 Art Deco Statue of Soccer Player & Football. Vintage Footballer Figure. 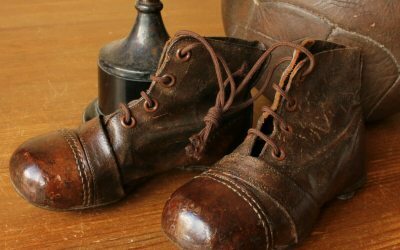 c1920 Brown Leather Football Boots. Old New Stock. Unworn Soccer Cleats. Live-bait fishing for Jack and Fly-fishing for Trout after J Pollard. 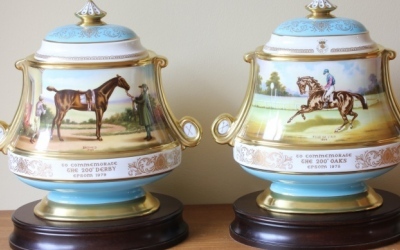 Opaline Horse Racing Jockey Beakers. 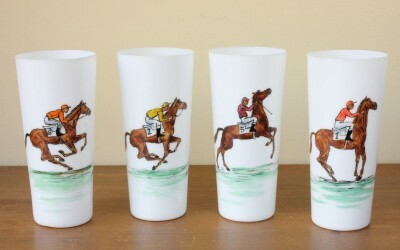 4 Hand Painted Equestrian Glasses. 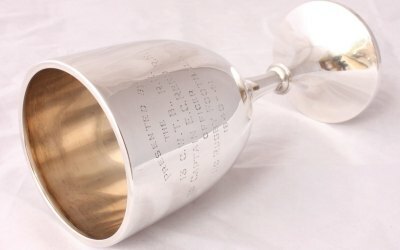 Silver Golfing Trophy Cup. 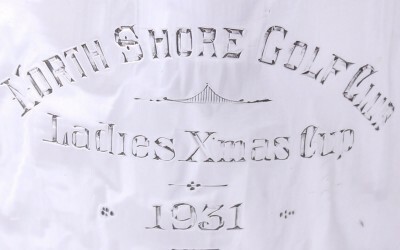 North Shore Golf Club Blackpool Ladies Xmas Cup 1931. 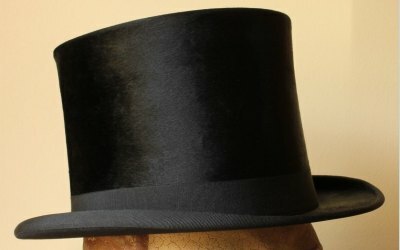 Black Moleskin Plush Silk Top Hat. Woodrow Of Manchester. UK 6 7/8. 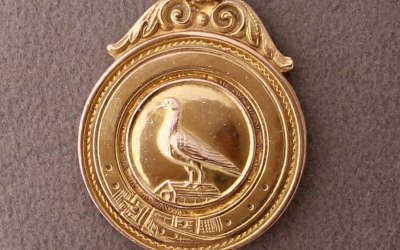 Gold Pigeon Medal Medallion Fob Everton & Crowther Winner 1936. Antique Golfing Tankard. 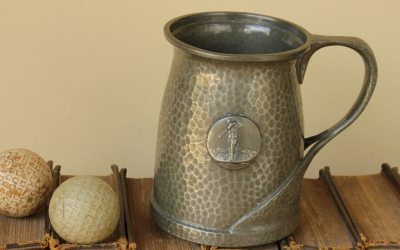 Glossoid Pewter Co 19th Hole Golf Golfer Mug Gift 1930s. 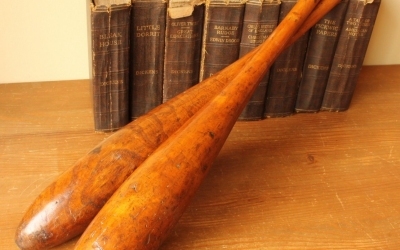 Antique Walnut Indian Clubs. 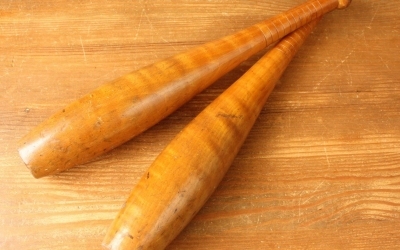 Wooden Exercise Meels. Vintage Prop or Gym. 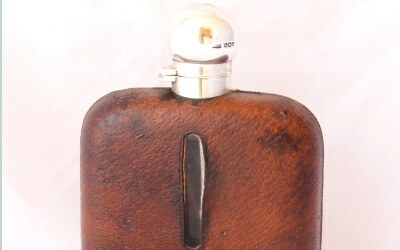 Solid Silver Hip Spirit Flask & Leather Pouch. James Dixon 1945. 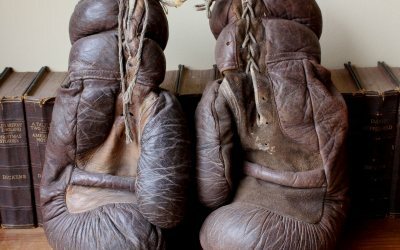 X Large Heavyweight Leather Straw Filled 1930's Boxing Gloves. 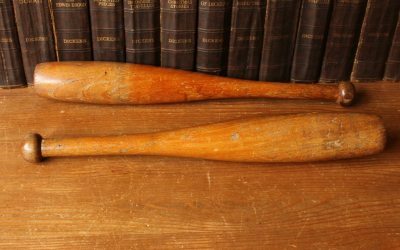 Vintage Indian Clubs / Wood Exercise Meels. 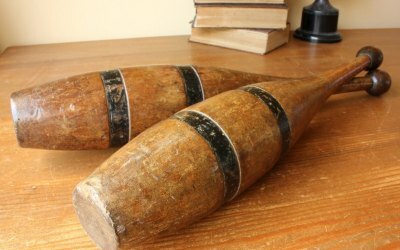 Prop, Gym, Bar or Home Decor. 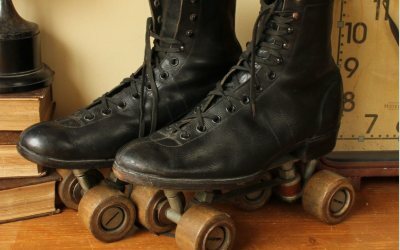 Continental Black Leather Small Childs Football Boots. 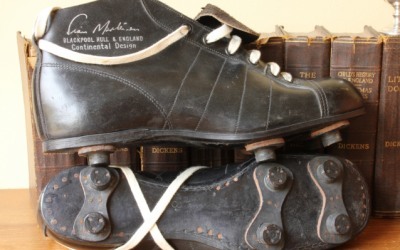 Old Soccer Cleats c1950. 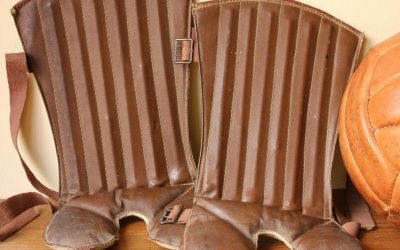 Spalding British Ltd Brown Football Shin Pads dating from C1920. 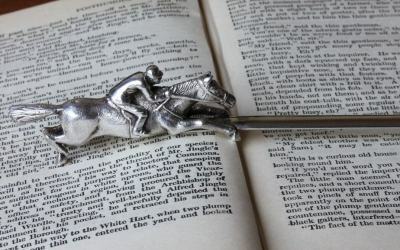 Silver Letter Opener Horse & Jockey Paper Knife. CJ Vander. 12 Panel Winner Leather Football. 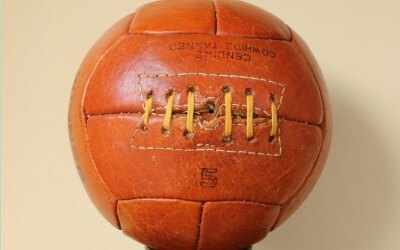 1950's Old Size 5 Laced Soccer Ball. 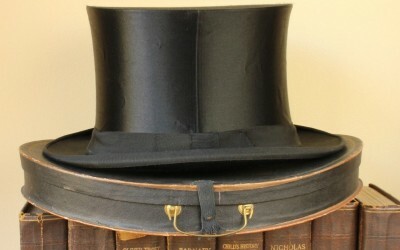 Antique Black Moleskin Plush Silk Top Hat in Box. Vintage by Patterson UK 6 7/8. 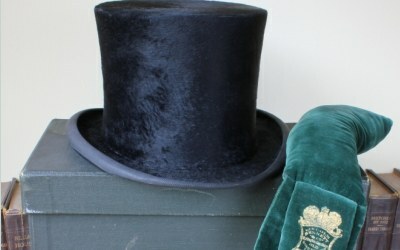 Plush Silk Top Hat. 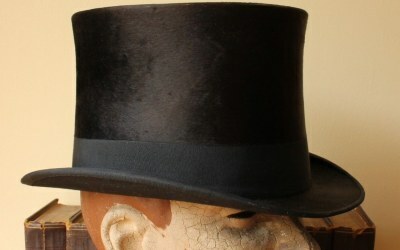 Antique Vintage Black Moleskin by Jardinet Belgium. UK 6 7/8. 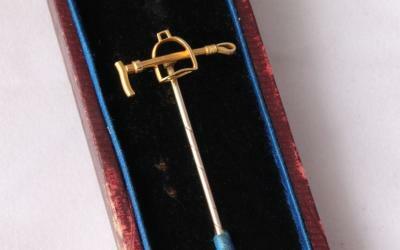 15ct Gold Equestrian Riding Crop and Stirrup Stick Pin in Box. 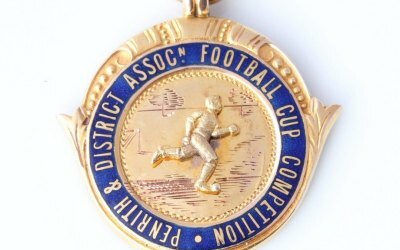 Gold Enamel 1911-12 Penrith & District Association Football Cup Medal Fob. 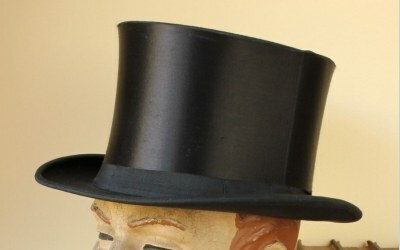 Antique Black Top Hat. Vintage Moleskin Plush Silk Belgium Box. 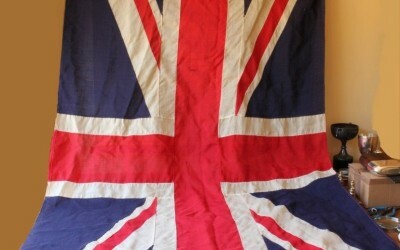 Large Size UK 7. 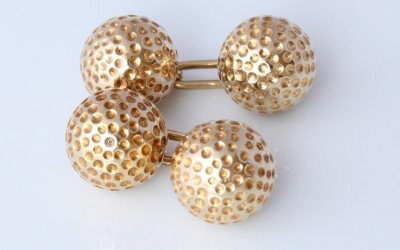 18ct Solid Gold Round Golf Ball Cufflinks. Vintage Heavy Golfer Gift. Boxed. 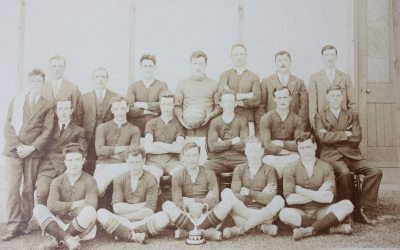 Photograph Perry Street Yonder Hill Football c1929 Crewkerne. 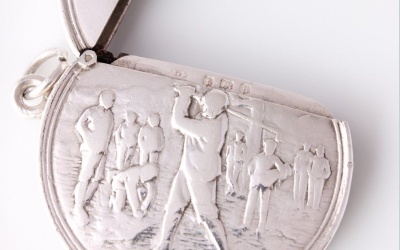 Solid Silver Golf Vesta Match Case 1907. Golfing Award Trophy. 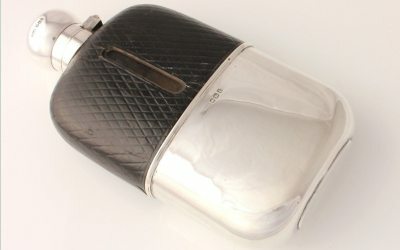 Solid Silver & Leather Spirit Hip Flask with Cup. William Aitken 1901. 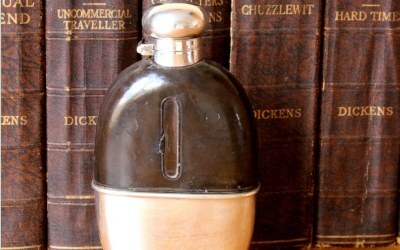 Antique James Dixon Silver & Leather Spirit Hip Flask With Cup. Drew & Sons 1923. 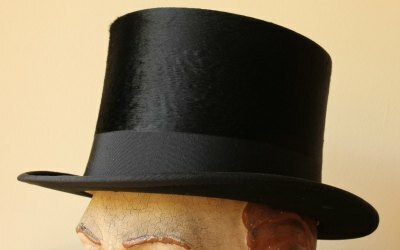 Black Silk Opera Top Hat. 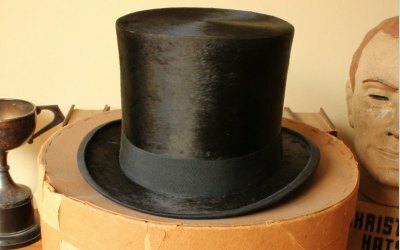 Scott & Co. Collapsible / Pop Up. UK 6 7/8. 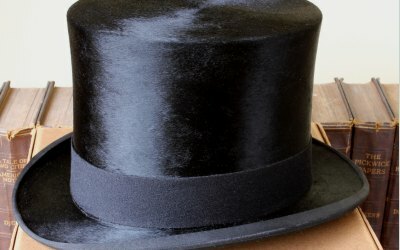 Black Moleskin Plush Silk Top Hat and Box Case Austin Reed. 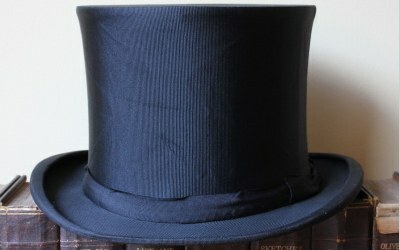 Silk Opera Top Hat. Garantie-Klapphut. Collapsible Pop Up. UK 6 5/8. Boxed. 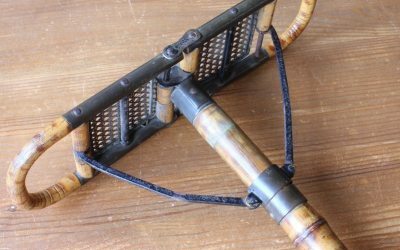 Rare Victorian Bamboo Shooting Stick With Folding Rattan Seat c1890. 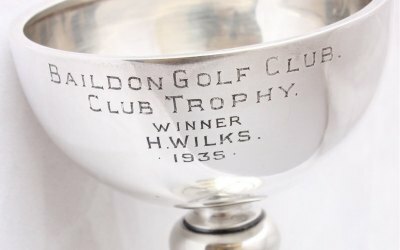 Silver Club & Ball Golf Trophy 1928. 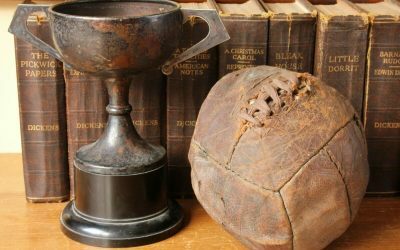 Scopes Challenge Cup 1933. 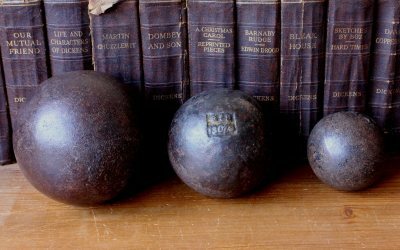 Mounted Brown Leather Cricket Ball Trophy with Silver Plaque 1945/46. 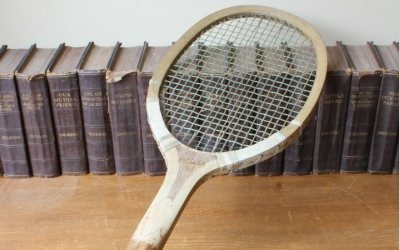 Interesting early Lawn Tennis Racket by Olympic c1910. 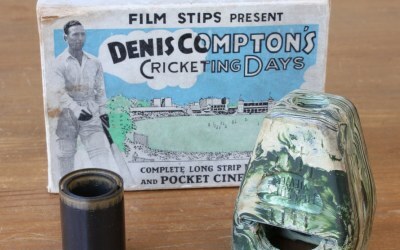 Denis Compton`s Cricketing Days. Viewer and original box. 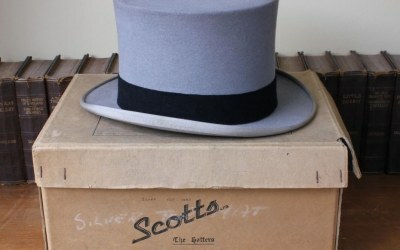 Silver Grey Top Hat by Scott & Co Extra Quality With Box. Size UK 7 1/8.